Yuna Kim of Korea struck gold as the competition at the ISU World Championships 2013 wrapped up. Italy’s Carolina Kostner took the silver medal while Mao Asada of Japan rose from sixth to claim the bronze. Performing to “Les Miserables”, Kim reeled off a triple Lutz-triple toe combination, triple flip, three more triple jumps as well as three level-four spins and level-four footwork. The Olympic Champion scored 148.34 points and racked up 218.31 points overall to win her second World title and her fifth medal at the ISU World Championships. “I was nervous in the six minutes warm up, but since I skated sixth and last in the group I had time to calm myself down. I am happy that I was able to skate a clean short and long program”, Kim told the post-event press conference. Kostner hit a triple Lutz, triple flip-triple toe and two more triples as well as difficult spins and steps in her “Bolero” routine, but fell on an under rotated triple Salchow at the very end. The 2012 World Champion had to overcome a nose bleed that started just before her performance. Kostner collected 131.03 points, a seasons best, and accumulated 197.89 points to take home her fifth World medal. “Coming here I didn’t know what to expect. No I can go home with a medal and it is great feeling. Last year I reached a dream that I almost had given up. This year I was able to live it a bit. It was my 11th World Championship in a row and already this was a special feeling”, the 26-year-old said. 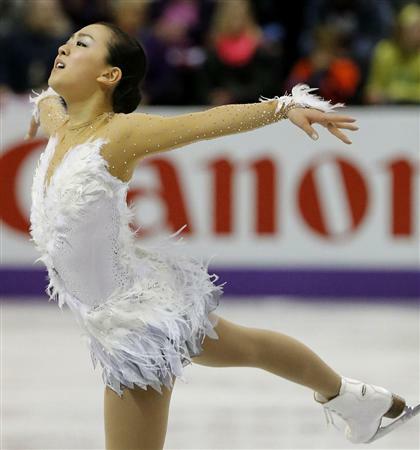 Asada went for a triple Axel right out of the gate in her “Swan Lake” program but two-footed. The two-time World Champion rallied back to land five triples including a double Axel-triple toe combination and got a level four for one spin and the footwork. The reigning Four Continents Champion scored a seasons best of 134.37 points and was ranked second in the Free Skating. Overall she scored 196.47 points. Asada took her fourth World medal. “Going into the free skating, I wanted to execute all my jumps, but I couldn’t. I hated the fact that I didn’t do the triple Axel and the triple-triple combination, but I was able to switch my mindset and nailed it in the second half of the program. I am happy with my season”, the 2010 Olympic silver medalist commented. 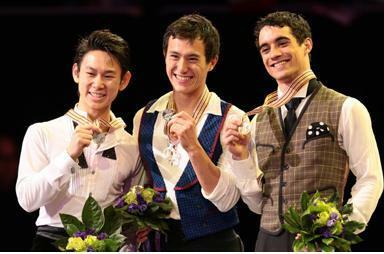 Patrick Chan of Canada captured the gold medal. Denis Ten of Kazakhstan won silver, the first ISU Championships Figure Skating medal for his country and Javier Fernandez rose from seventh to earn the bronze. It was the first medal for Spain at an ISU Figure Skating World Championship. Chan’s program to “La Boheme” was highlighted by a quad-triple toe combination, another quadruple toeloop and difficult spins and footwork, but he fell on a triple Lutz and underrotated triple Axel. Chan was ranked second in the Free Skating with 169.41 points but overall held on to first place at 267.78 points to win his third consecutive World title. “It was good at beginning, I did two beautiful quads. The Lutz scared me, I lost momentum”, the 22-year-old said. “I feel good, will enjoy this day, week. It’s where I want to be heading into Sochi. I think the audience saved me. It is a two-program competition. I am thankful for that beautiful short program. 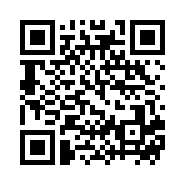 Maybe I’m saving the long for the Olympics”, he added. 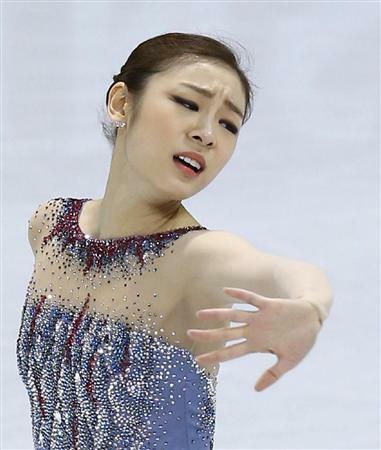 Performing to “The Artist” soundtrack, Ten reeled off a quadruple toeloop, a triple Axel-triple toeloop, another triple Axel as well as three more triples and two level-four spins. The skater from Kazakhstan earned a personal best score of 174.92 points and was ranked first in the Free Skating. Overall he racked up 266.48 points and remained in second place to win a historical medal for Kazakhstan. “My dream has come true and I still can’t believe it all happened. I had rough skates this season; I had truly a hard time. When I did the quad I felt everything is going like my plan”, Ten commented. Fernandez landed a quadruple toeloop, quadruple Salchow and five triples including an Axel in his Charlie Chaplin routine. He picked up 168.30 points and moved up to third at 249.06 points. “Today’s program was a little bit of everything. I had a great start, but also made some mistakes; I had some good jumps and some bad jumps as well. I am happy this season is done, it was a great season for me, I won many medals. It’s great to see how the work that you put into it actually starts to work. Now we have to get ready for next year and stop doing those little mistakes”, the European Champion explained. 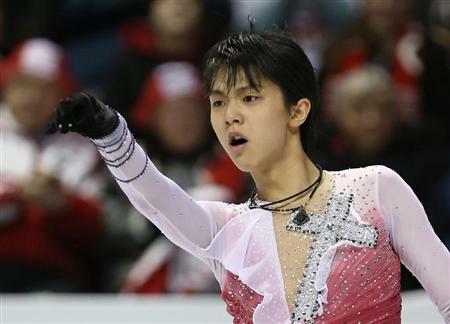 2012 World bronze medalist Yuzuru Hanyu (JPN) pulled up from ninth to fourth with a strong Free Skating at 244.99 points. Four Continents Champion Kevin Reynolds (CAN) slipped from third to fifth as he underrotated three jumps (239.98 points). Grand Prix Final Champion Daisuke Takahashi (JPN) finished in sixth place (239.03 points). Meryl Davis/Charlie White (USA) danced off with the gold medal. Canada’s Tessa Virtue/Scott Moir earned the silver medal and Ekaterina Bobrova/Dmitri Soloviev of Russia captured the bronze medal. Davis/White’s performance to “Notre Dame de Paris” was highlighted by intricate footwork and difficult lifts. The 2012 World silver medalists earned a level four for the lifts, twizzles and the spin and a level three for the two step sequences to pick up 112.44 points and totalled 189.56 points to take their second world title since 2011. “First of all, we are really proud of our skate, a lot of fun out there. We have to celebrate these moments, there is not an infinite amount of them. And you have to do your job but we had a special moment. We accomplished all of our goals in this competition. We are looking forward to the challenge of next year and making the most of it, we would like to win the Olympic gold medal so you know it’s just back to work now and that’s fun and exciting and something to look forward to really pleased”, White said. Virtue/Moir completed innovative lifts and strong footwork in their passionate “Carmen” program to post a seasons best of 111.17 points. At 185.04 points overall, they remained in second place. “We are very happy with our skates this week. We were strong, we had the right approaches and we feel these are performances to build on for next year”, Moir commented. “We are competitive, we like to win, it’s tough to take. We held nothing back in both performances. We had strong, innovative material, this will help us for next year”, he noted.